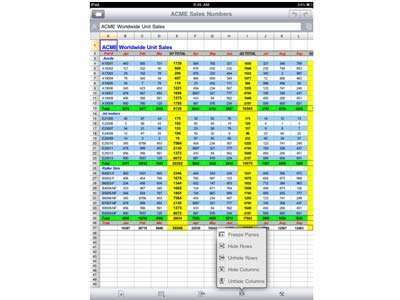 “iPad” is the more smarter way of managing your business aspects. The statistics shows that Apple sold more than 1 million copies of iPads in the first 3 months. It has been a big hit because of its usability and portability. Its apps can manage all your business aspects. 1. Documents To Go Premium – Office Suite ($16.99) You can create, edit & view Word, Excel & PowerPoint files (Office 2007/2008/2010). 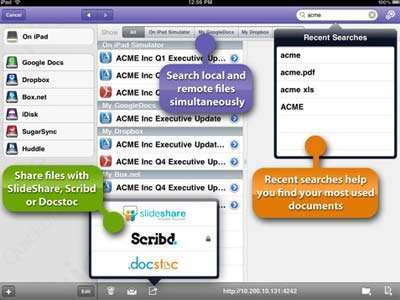 You can access, view, edit & sync files stored in Google Docs, PDF, Dropbox, Box.net & iDisk. This also allows 2 way file sync over WIFI. 2. 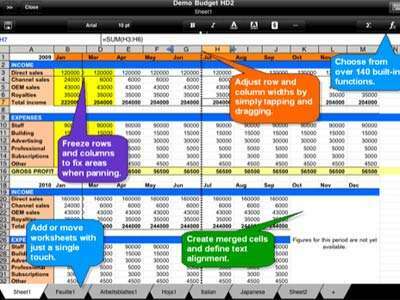 QuickOffice Pro HD ($19.99) An Office suite to create, edit & Share office files. You can also save files as PDFs. You can share files on Slideshare, Scribd, & Docstoc. You can even print files using iOS AirPrint. 3. 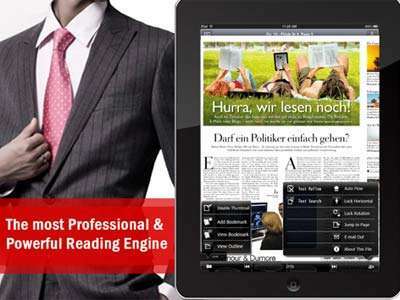 PDF Reader Pro ($1.99) It provides you PDF scanner features, PDF Reader features, Annotation features and File transferring features. It also supports MS Office files(Word, Excel), image files(png, jpg, jpeg, tif), audio files (aiff, wav, mp3), video files (mp4, m4v, 3gp), Text files, HTML files and other file formats. 4. Office HD ($7.99) It allows you to create, view and edit Word (DOC & DOCX), Excel (XLS), PowerPoint (PPT) files and access to Google Docs, DropBox and MobileMe iDisk. 5. 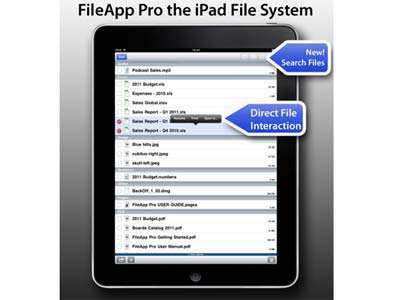 FileApp Pro ($4.99) This is a file and document handler which handles and manages your files and documents. This allows you to read, move, copy, rename or transfer documents or files such as an email documents, PDF, Word, Excel, Powerpoint, images, audio and videos files.